What a disappointing series! First of all, super cliche! 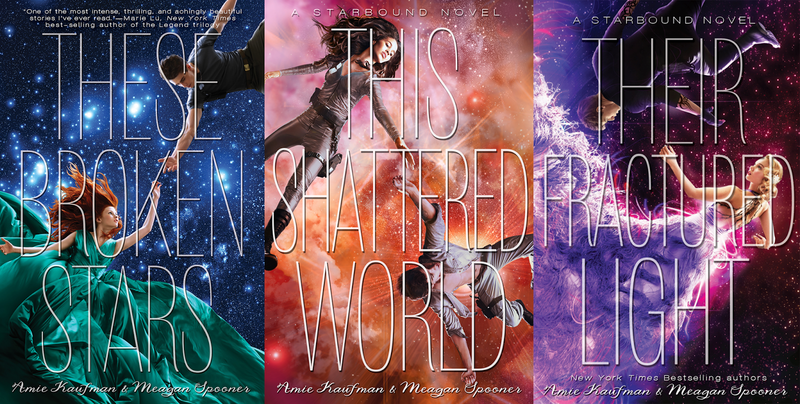 It was effectively a love story (between teenagers) set in space, and repeated over and over again throughout the series. Also, I found it quite distracting when the story kept switching POVs back and forth between both main characters. It really took me out of the story. Those little poems or whatever, at the start of every chapter, were so unnecessary as well (felt more like fillers, really). I finished the first book, took a break from the series for a couple of months (after I realized that the second book had a different set of main characters, which was annoying) but ended up enjoying the second book the most, out of the entire series, and seriously struggling to finish the final book. Personally, I’d say skip the Starbound Trilogy.